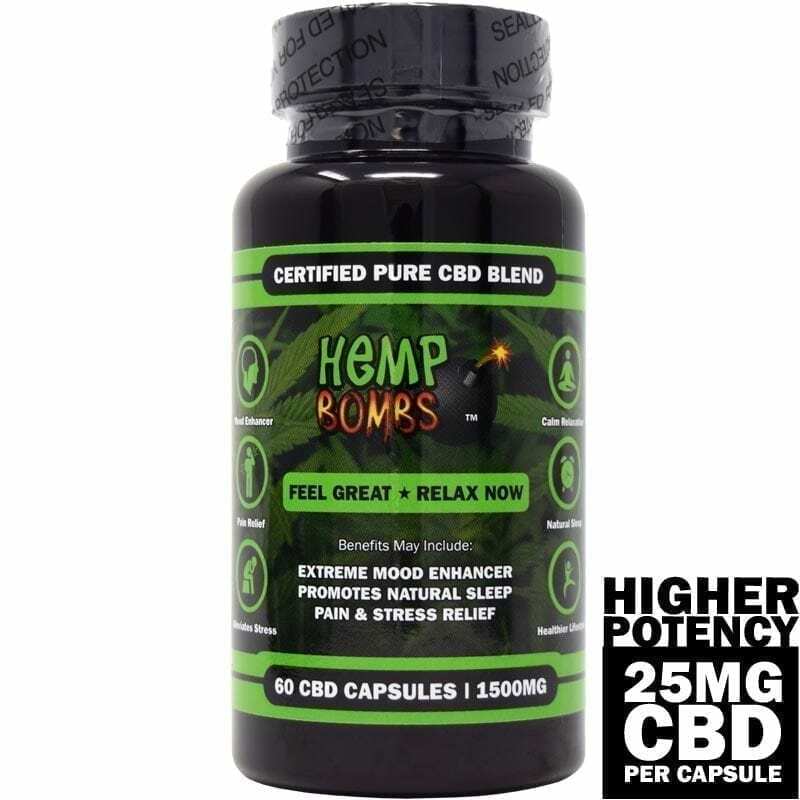 Hemp Bombs CBD Capsules contain a potent dose of pure CBD in an easily digestible capsule form. They are conveniently designed to take whenever you’re feeling stressed, anxious, or would like to settle into a relaxing calm. Hemp Bombs Capsules are available in 15mg and 25mg product concentrations and many different capsule counts. If you are looking for a more long-lasting relief, our High Potency Capsules provide a higher dose of CBD for more severe symptoms. Take one to two capsules each day to begin seeing the benefits Hemp Bombs can bring to your life. Hemp Oil Capsules are a great option for decreasing pain without the harsh side effects of traditional medications. Research shows that CBD has no addictive properties or current cases of overdose. CBD works with your body's Endocannabinoid System to strengthen its natural pain-relieving capabilities. Hemp Bombs’ premium blend of Cannabidiol has the potential to relieve a spectrum of pain symptoms and reduce inflammation throughout your body. Stress can be induced from a variety of life factors whether it be your job or other social obligations. 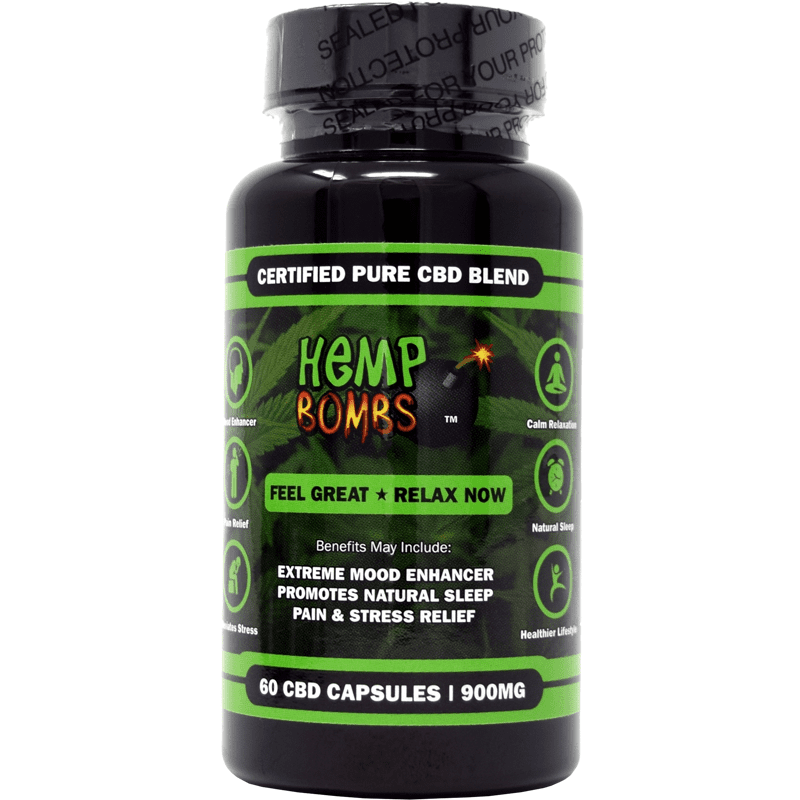 Hemp Bombs premium Hemp Oil supplements are a healthy way to diminish the day-to-day stress life brings about. A natural alternative, Cannabidiol may alleviate extreme stress and tension without any harmful side effects. Natural health products can help you stay healthy and maintain your body as you get older. 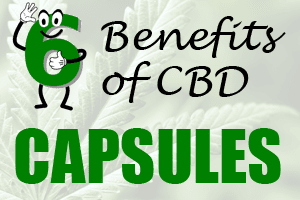 With Hemp Bombs’ pure CBD Capsules, you are receiving a premium and all-natural product that can provide an array of therapeutic properties to benefit you inside and out. Not only is CBD packed with antioxidants to protect you from free radical damage from environmental factors, but they also curb premature aging while boosting your mental and physical health. Depression and anxiety are two common conditions that may affect your everyday life. CBD has several qualities including soothing and antidepressant properties that might improve your mood. 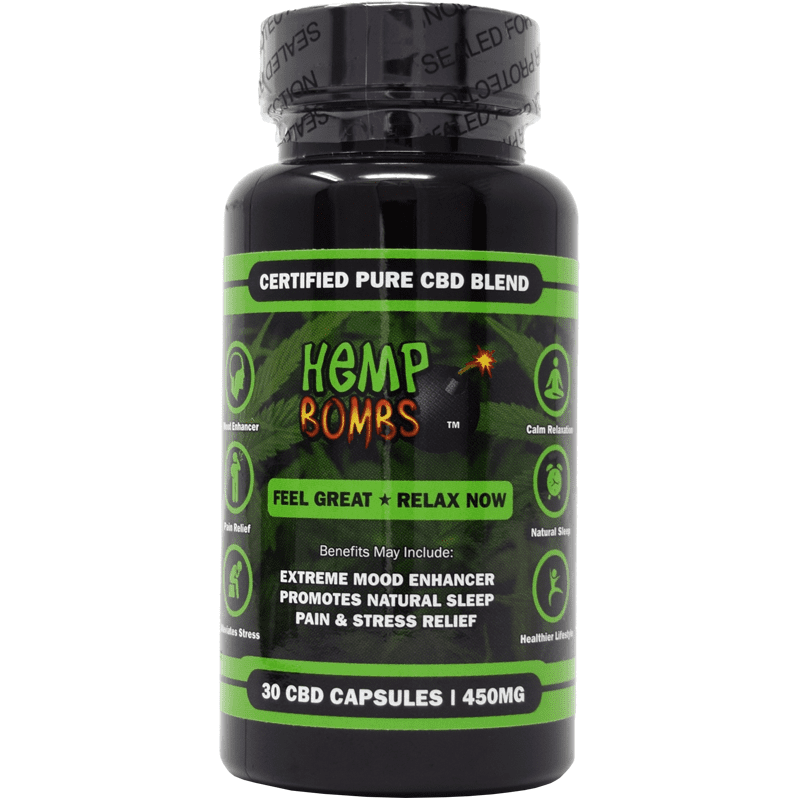 Hemp Bombs’ premium Capsules are a potent blend of CBD that doubles as a neuroprotective – which helps protect brain health. Taking our Hemp Oil supplement daily may improve your overall mood and relieve any anxieties you may have. For some people, it’s nearly impossible to maintain a healthy sleep schedule and get the recommended number hours of sleep. Hemp Bombs’ easily digestible capsules have the potential to provide you with a good night’s sleep on a regular basis. Taken before bed, CBD Capsules may reduce racing thoughts and put your mind at ease for an extended, more improved rest. Our Hemp Oil Capsules may leave you feeling more energized in the morning and relieve the symptoms of insomnia. 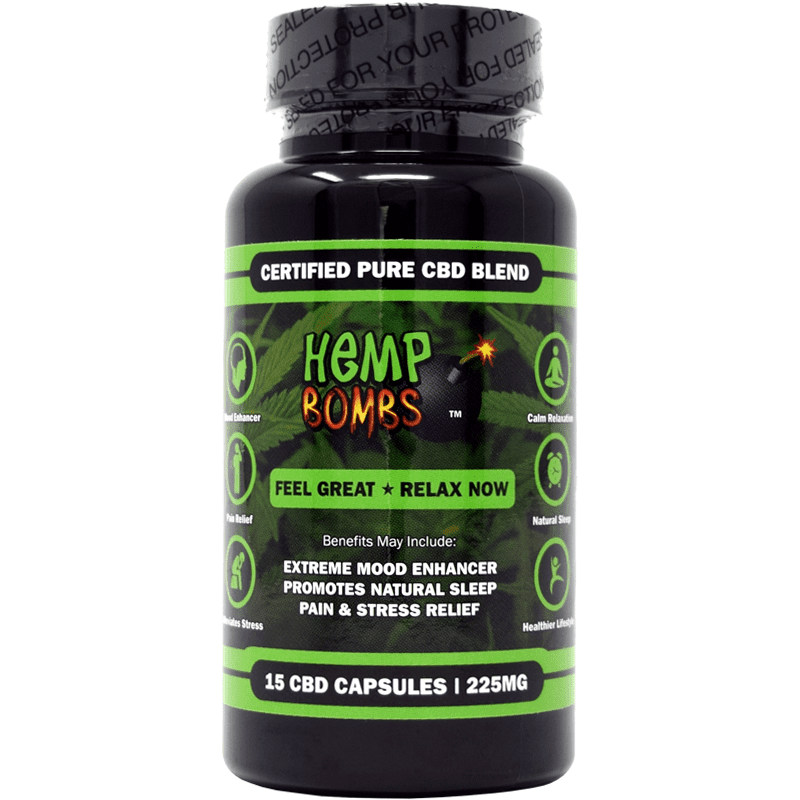 Hemp Bombs pure CBD Capsules can provide the ultimate relaxation after a long day of work or activities. People have reported that Hemp Oil products provide a wave of calm and overall sense of peaceful relaxation. Studies suggest that Cannabidiol stimulates serotonin neurotransmitters in your brain to produce feelings of tranquility and happiness. 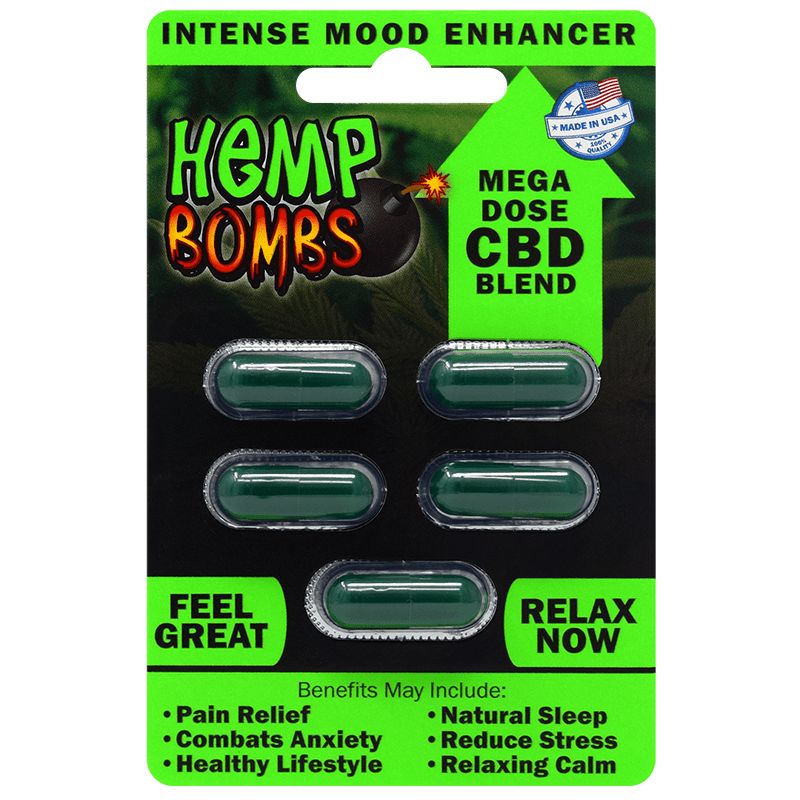 Why use Hemp Bombs CBD Capsules? Hemp Bombs uses the all-natural properties of the Hemp plant to provide you with a premium and organic CBD product. The Cannabidiol used in our CBD Capsules is sourced from premium-grade Industrial Hemp grown with sustainable methods. We want to provide you with a pure CBD supplement you can use daily to improve your overall health and well-being. All of our Hemp Oil Capsules are assembled and manufactured in-house so that we can maintain the utmost quality control over them. Our Hemp Oil Capsules are also third-party lab tested to ensure their purity. 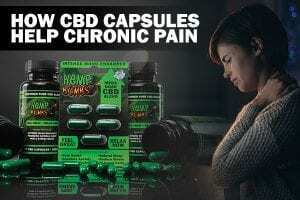 Look no further, Hemp Bombs Certified Pure CBD Capsules are the choice for you.